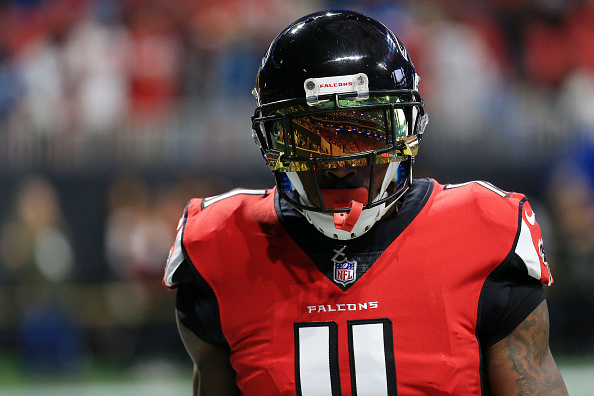 All offseason, Julio Jones and the Atlanta Falcons have basically been going to war over his contract situation. The Atlanta Falcons wide receiver wants his contract adjusted to his satisfaction, but the team won’t budge. Falcons beat writer D. Orlando Ledbetter stated last month that Jones’ relationship with the franchise was in “a bad place right now.” Last week, the Falcons laid down the gauntlet when they stated they had no plans of renegotiating Jones’ contract and giving him a raise for this season. They still expected their superstar WR to show for camp. That expectation was thrown out of the window on Tuesday, however, when it was reported that Jones has no plans to show up during the start of camp. Jones currently has 3 years left on his deal and is due to make $10.5 million in base salary this season. His annual average salary of $14.25 million ranks ninth in the NFL among receivers. Therein lies his issue with his contract, as he is easily among the top 3 players in the league at his position.